Are you all geared-up for the celebration of the most eminent Purnima of all-Kartik Purnima? Kartik Purnima, also known as Dev Diwali or Tripuri Purnima, is the full moon day occurring in the Hindu month of Kartik. This auspicious day provides us with many reasons to celebrate it with much piety and zeal. Read on to know more of this felicitous day and how to make the most of it ! 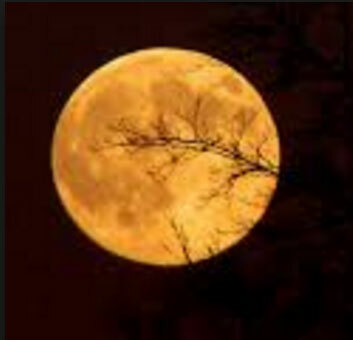 Kartik Purnima, also widely known as Dev Diwali or Tripuri Purnima falls on the full moon day in the month of Kartik. This day is particularly celebrated with much enthusiasm as it has many legends associated with it. According to the scriptures, on Kartik Purnima, a demon called Tripura was defeated by Lord Shiva. Mainly, Lord Kartikeya is worshipped on this day along with Lord Vishnu and Lord Shiva. This year, Kartik Purnima will be celebrated on the 14th of November. The day of Prabodhini Ekadashi is of particular importance when we talk about Kartik Purnima. As per the scriptures, Chaturmas, Lord Vishnu’s four month long sleep terminated on Prabodhini Ekadashi. Prabodhini Ekadashi marks the onset of many festivities in different parts of India. Many fairs, expos and carnivals begin on Prabodhini Ekadashi and last till Kartik Purnima. On Kartik Purnima, devotees perform Kartik Snaan, which is a holy bath to be taken on the eve of Kartik Purnima. Kartik Snaan is performed twice, at sunrise and at moonrise on Kartik Purnima. After the evening Kartik Snaan, devotees perform prayers for Lord Vishnu, Lord Shiva, Lord Brahma, Angira Rishi, Lord Surya and Lord Kartikeya. Also, Satyanarayan Katha can be performed on this auspicious day. Holy food called Annakoot is offered to God, post all the rituals and prayers. On the day of Kartik Purnima, any sort of violence, shaving, cutting of hair, cutting of trees, plucking of fruits and flowers, crop harvest and sexual union are strictly barred. Making donations, especially of cows, feeding Brahmins and observing fast, on this felicitous day, is believed to be prosperous. Endowment of Gold on Kartik Purnima is believed to be opportune. To acknowledge the night of Dev Diwali, lamps are lit in temples for the entire night. In this duration, all temples, places of worship and the Ghats of Varanasi are decorated magnificently. Lighting 360 lamps or 720 wicks at the place of worship of Kartik Purnima is believed to provide Moksha to the doer. In this process of lighting lamps, 360 lamps or 720 wicks symbolise the 360 days and nights of the year. On this day, Diyas and lamps are given to priests and flown in water. This day is also known as Kartika Diparatna as the lamps bear the radiance of vividly-hued gems. Areas around sacred plants and trees such as Tulsi, Amla and the sacred Fig are also kept well lit and decorated. According to popular beliefs, by seeing the holy light of these lamps and Diyas birds, animals and other living creatures will attain liberation from this mortal world. Kartik Purnima is also known to be the day of birth of Matsya which is an incarnation of Lord Vishnu in the form of a fish. Lord Kartikeya, the God of War and son of Lord Shiva, is known to share his birthday with Matsya. Also, Vrinda, the incarnation of Tulsi is believed to be born on Kartik Purnima. Kartik Purnima has special significance for the devotees of Lord Krishna and Goddess Radha. As per popular beliefs, on this day, Lord Krishna had adored Goddess Radha and consummated the act of Rasalila with her. Apart from these events, Kartik Purnima is also dedicated to Pitrs, the dead ancestors. Though performing Maha Mrityunjaya Havan is considered to be auspicious on the day of Purnima but it is not religiously practised. The Havan begins by building a Havan Kund and placing firewood in it. Gradually Ghee is added to the burning fire while chanting the Mantra. The Maha Mrityunjaya Mantra is used to pray to Lord Shiva. Chanting ‘Om Swaha’ 108 times after chanting the Mantra winds up the Mrityunjaya Havan. The auspicious festival of Guru Nanak Jayanti, celebrated by Sikhs residing all over the globe will be celebrated on 14th November this year. The positive vision of Guru Nanak towards life, made a difference in the ideology of the people. His selfless approach towards humanity and his preachings made him the 1st Sikh Guru. It is on his birthday that people celebrate the festival of Guru Nanak Jayanti. We at AstroSage, wish you a very Happy Kartik Purnima ! May this Kartik Purnima and grace your life with prosperity, happiness and abundance !